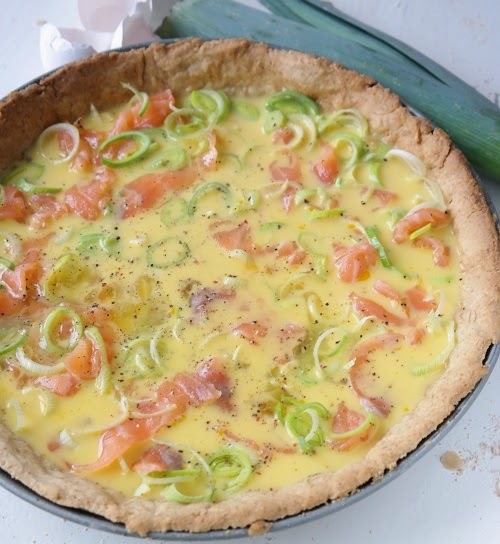 Leeks and smoked salmon combination makes a scrumptious quiche that can be served hot or cold, for lunch, a light dinner or as a snack. Put flour into a mixing bowl with the cubed butter.With your fingers crumble the butter into the flour till you get the consistency as coarse sand.Add water, mix until dough is formed.Wrap the dough and put it in the fridge for 30 minutes. 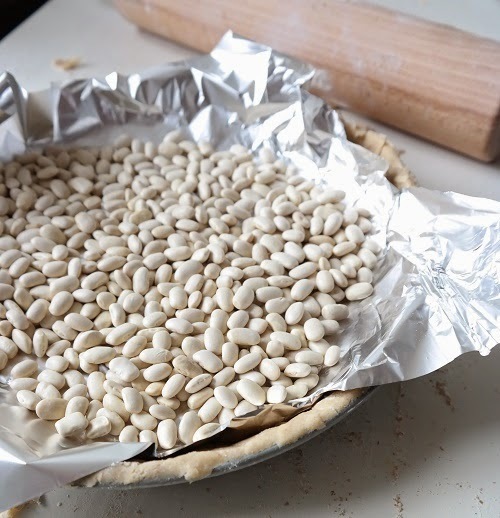 Roll the dough and place it in a pie dish, prick it with a fork or cover it with aluminum foil and place beans or peas on top. This is done so that the crust wont blow up. Bake the crust at 200 ° C for about 10 minutes remove the aluminum foil and beans and bake for 5 minutes until it is lightly golden. 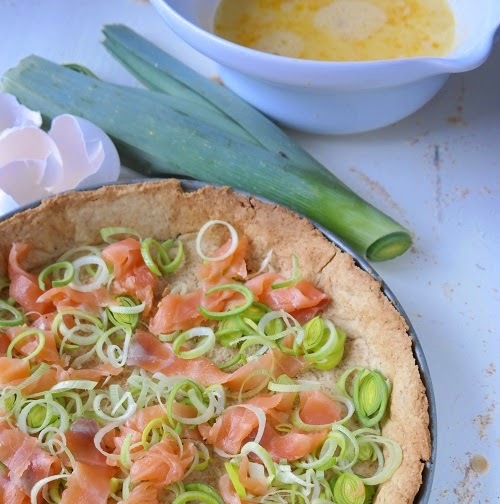 Cut smoked salmon into bite sized pieces and slice the leek into thin rings. 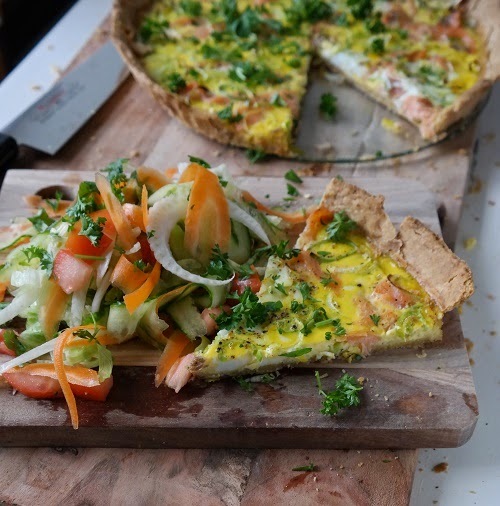 Distribute the salmond and leeks evenly around your crust. Lightly beat the eggs in a bowl and add the cream and pour the egg / cream mixture over the salmon and leeks, pepper to taste. Bake the pie in the middle of the oven at 180 C until the egg mixture is set, 20-25 minutes. Serve hot or cold with chopped fresh parsley and a fresh crisp salad.